Luke 2:8-10 And there were shepherds living out in the fields nearby, keeping watch over their flocks at night. An angel of the Lord appeared to them, and the glory of the Lord shone around them, and they were terrified. But the angel said to them, “Do not be afraid. I bring you good news that will cause great joy for all the people. I'm guessing that many of you may need some joy this weekend. 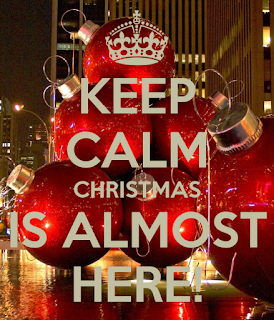 It's the final shopping weekend before Christmas and chaos is in the streets and in the mall. If you're feeling overwhelmed by the season and all that is happening around you then you are probably missing the real reason for Christmas. An angel of the Lord appeared to the shepherds and the glory of the Lord shone around them. It was one of those moments that could bring fear and panic. But the angel said fear not for I bring you good tidings of great joy. Good news that will cause great joy! Of course we know the joy is Jesus and the joy of the Lord is our strength. So don't get overwhelmed this weekend and don't lose your cool. Let God's glory shine all around you and be kind to one another. 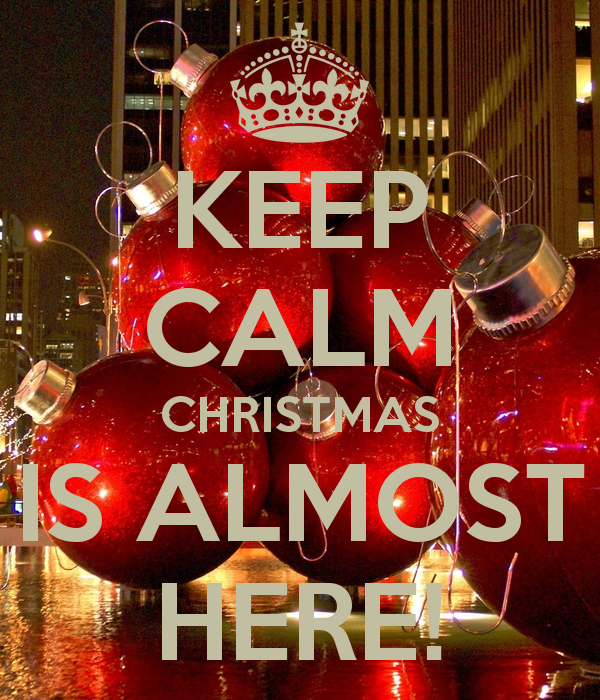 Take a deep breath, thank the Lord and press on...and keep calm...Christmas is almost here!